Enjoy tax advantages and high returns by investing in resort rehab projects … here’s how! Real estate is full of incredible niches. You’ve probably heard of lifestyle investing … but it’s time to take a look at resort rehabs. Imagine a before-and-after transformation … that makes you BIG MONEY! 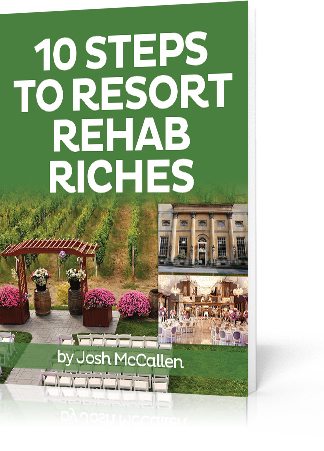 Josh McCallen and his team at Accountable Equity specialize in finding significantly discounted properties in need of some TLC … and turning them into fully-functioning, highly profitable, and gorgeous resorts. Find higher profit margins by investing in fix n’ hold lifestyle investment properties instead of buying into already up-and-running resorts. On average, Josh’s rehabbed resorts increase in appraised value by over 70 percent! Make a lucrative investment and enjoy fun, relaxing experiences at your very own resorts as the icing on the cake! But 2019 is the LAST year of the second decade of the 21st century. And with our annual goal setting workshop coming up this weekend, we’re in the mood for thinking ahead. Like a decade ahead. After all, real estate investing is based on long-term commitments … to markets, to properties, and often to financing. Right now, there are more than a few reasons to think there are probably some MAJOR shifts coming … things which are important to consider in today’s investing decisions. This isn’t some routine wave in an economic cycle. This is a complete global shift of economic (and probably military) power and influence. Virtually NO ONE investing today has ever done so in a world where the United States and its almighty dollar aren’t the undisputed dominant economy and currency. Of course, we’ve been talking for quite some time about preparing for the possibility of the U.S. dollar losing its unique and powerful position as the world’s reserve currency. There are several internal and external forces working against it, in spite of recent relative strength. These are both MEGA-trends … major shifts that are gradually taking place over a long period of time. Back in 2016, Business Insider published an article about four mega-trends that could change the world by 2030 … including the U.S. losing top status. Of course, we’re only a few years in. But IF you’re paying attention, you’ve been watching these trends slowly and surely develop. Most people don’t even see it happening, much less have any understanding of what it might mean to them … or how to prepare. We think that’s a mistake. In other words, it’s generally a losing proposition to invest against the trend. It’s just too powerful. Especially a mega-trend. Sure, you can be contrarian and buy when others are selling or vice-versa. But that’s just navigating cycles. If you get it wrong, you can simply wait it out because time often heals those wounds. But a mega-trend isn’t a cycle. It’s a major long-term shift in the landscape. It fundamentally changes the way the world works. The gradual erosion of the United States exclusive status is a powerful mega-trend. In a recent news report, a leading expert predicts AI will displace 40 percent of world’s workers as soon as 2035. That kind of disruption has the potential to impact economies, political systems, and your real estate investments. So when thinking about the New Year ahead … we encourage you to start thinking about the next decade as well. Because big change is on the horizon. Fortunately, real estate moves slowly … just like a mega-trend. And because real estate is a permanent and essential part of human existence, there’s likely to be investment opportunity … so long as private property rights survive. So what might all this mean to YOUR real estate investing? U.S. real estate could grow in appeal as a preferred wealth preservation haven for foreign investors. Sure, the U.S. economy and dollar might get knocked out of the top spot. But the U.S. has a long and stable history of strong private property rights. The same can’t be said for some these up and coming economies. However, if the dollar loses reserve status, then dollar-denominated asset prices … along with interest rates … could surge in response to inflation. So anyone who uses long-term fixed debt to acquire real estate BEFORE it happens could end up a two-time winner. Rising prices against fixed debt makes equity happen. We like it. The key is to pick markets and product types likely to see increased demand if economic conditions become more challenging for working class folks. Of course, if economic conditions improve then all the better. But best to prepare for downward pressure. These are themes we’ve been talking about for years … because the mega-trends driving them have been slowly developing for quite some time. Be careful not to let routine cycles, political winds, or investing fads blind you to the mega-trends underneath it all. Mega-trends transcend all those things. The good news is mega-trends move slowly. So IF you’re paying attention, you’ll almost always have plenty of time to adjust your position to capture opportunity and mitigate risk. The even better news is real estate is a tangible, essential asset … with a unique status. All stakeholders in society have a vested interest in keeping it valuable. Not all investments can say that. Of course, all investing involves risk. But so does NOT investing. So it’s a matter of being strategic and taking well-calculated risks … which is why we think it’s critical to keep a keen eye on mega-trends as well as cycles. When you play off the big picture, it smooths out short-term gyrations which can sucker Pollyanna investors to jump in … or spook skeptical investors into missing out. That’s why we’re REALLY looking forward to spending a week with our incredible faculty members on our fast-approaching 17th annual Investor Summit at Sea™. Of course, we hope you’ll join us. … and how YOU can best position yourself to survive and thrive as the future unfolds. As we’re winding down 2018, it’s time to rub our crystal balls and peer into the new year … and we see …. For most high-earners, taxes are their biggest expense. And almost everyone who has to pay taxes would prefer not to … or at least pay less. … the biggest story may well end up being how market participants respond to their growing understanding of the revised tax code. Thanks to tax strategy advocates like Tom Wheelwright, many people ALREADY investing in real estate are cashing in on the amazing tax benefits the new law gives to real estate investors. 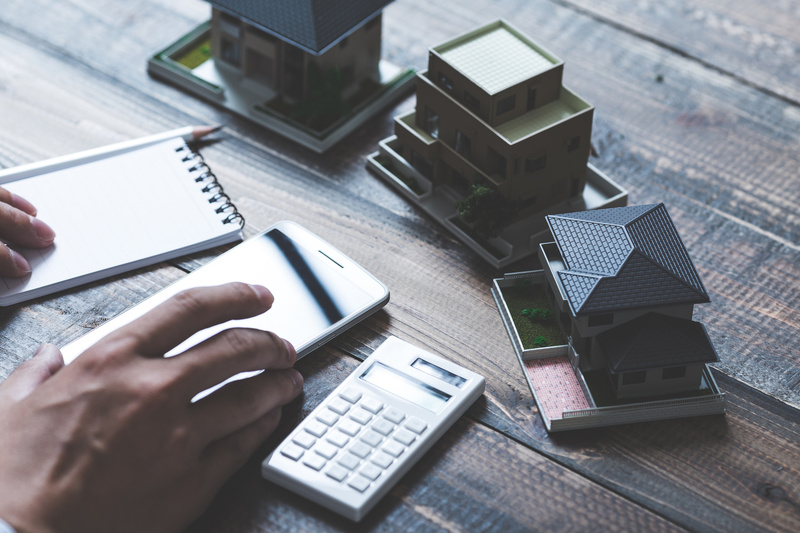 But as investors of all stripes close the books on 2018 and start looking for tax breaks in the new year, we’re guessing many will discover real estate for the very first time. Meanwhile, it’s quite possible stock investors will trade in their “buy the dip” strategy for “drop the falling knife” … and look for other, less volatile places to invest the proceeds. While YOU may not be interested in the stock market, its recent tribulations are noteworthy because it may portend a shift of capital from Wall Street stocks to Main Street real estate. And if you’re a syndicator talking with prospective investors, you should really have more than just a cursory understanding of what puts downward pressure on stocks. After all, some of the jittery money still stuck in stocks just might be inclined to move your way … if you’re able to explain the case for real estate. Besides tariffs and rising interest rates, there are two factors putting pressure on stocks but aren’t discussed much on mainstream financial news. First, as interest rates rise, it’s less profitable for corporations to borrow heavily to buy back their own stocks. Besides, many have already gorged themselves on cheap money while taking corporate debt to record levels. This alone is causing some concern. And if rates resume their climb, debt service will begin to take a toll on corporate earnings as interest expenses rise. The big tax break offered to corporations enticing them to bring their offshore money back to America has already worked most of its magic. And a lot of the money ended up in stock buybacks. But with the dual air pumps of cheap debt and repatriated offshore funds both losing pressure, stock buybacks are slowing … letting air out of the stock bubble. Remember, asset values (prices) are largely based on “air pressure”. There always needs to be more money coming in to keep prices elevated. On the other hand, income producing assets … like rental properties … derive their value from income. And because those incomes are relatively steady, so are the prices. That’s why jilted stock investors often migrate into real estate. Sure, they like flirting with the hot stocks when the punch bowl is full. But when the bowl runs dry, many investors choose to go home to old faithful … real estate. And when you add in the new tax breaks, old faithful got a face lift … and is even MORE attractive. The world is really starting to buzz about Opportunity Zones. O-zones promise huge tax breaks … and much of it is likely to provide long-term benefit to real estate in those designated areas. Of course, like anything new, it takes time for folks to figure it out, to get in position, and make their moves. That’s the advantage of being small. You can study fast and out-hustle the big money to get into position. Then when big money finally shows up, you get to ride a wave. So when we look at the upcoming year, we think the impact of the tax laws will continue to magnify a movement of money into real estate. And even if the overall economy slows, it’s our guess real estate will continue to attract its unfair share of investor interest. Now we’re starting to understand why Tom Wheelwright and Robert Kiyosaki get so excited about taxes, real estate, and infinite returns. Oil and gas investing generates more wealth than any other asset class … and it comes with MAJOR tax benefits. Oil can be a valuable and dynamic part of your portfolio. Demand is rising … meaning NOW is a great time to invest. An investment in drilling operations can continue to produce income for years to come. To get the maximum amount out of this investment and to manage risk, you need a serious expert who knows the business inside and out. Bob’s team is not only skilled in every part of their business, they’re here to educate you and give you hands-on experience. Learn the ins and outs of the oil industry in this special report … from the extraction process, to predicted world-wide demand. 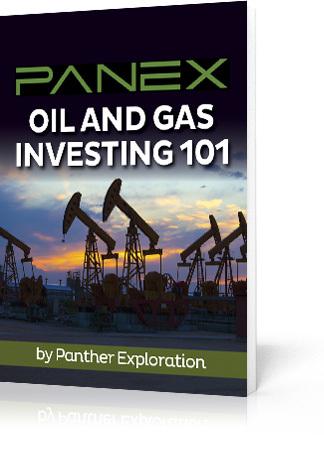 Find out whether gas and oil investing is right for YOU … and discover how you can get started in this exciting asset class. Don’t wait! Catch the rising returns as they continue to soar … let Panex show you how to open up your portfolio for profits. Simply fill out the form below to get a copy of this exclusive report on what oil can do for YOU. We live in a big world … one that offers benefits to those willing to step outside of their comfort zones. In Part 1 of Cover Your Assets, we discussed domestic structures that can isolate and protect your assets in the case of legal trouble. In Part 2, we’ll look at the bigger picture of asset protection. We’ll discuss international asset protection structures and long-term wealth protection strategies … and we’ll also talk about what investors can do to protect their privacy and take advantage of tax laws. It might sound complicated … but luckily, our guest Kevin Day is an expert in offshore asset protection and came on the show to simplify the topic for us. Kevin sat down to chat with us in breezy Belize. He points out that U.S.-based investors have to be on their A game … because in this country of extreme litigation, “A lawsuit is equivalent to a lottery ticket” … for the person suing YOU. One way to protect your wealth from lawsuits? Trusts. Kevin took us through a brief history of trusts in the U.S. Trusts were formerly designed solely to transfer wealth from one person to another. Revocable trusts were invented in the 1930s to allow people to set up a way to transfer their estates … and make tweaks to the structure along the way. It wasn’t until the 1980s that the U.S. allowed people to name themselves as the beneficiary of a trust for the first time. These trusts allow you to segregate your assets … so you still have a decent lifestyle and you can reduce your liability. “It’s a way to firewall the various parts of your life,” says Kevin. Trusts are unique because they don’t have an owner … they exist independently from you. That’s why their lawsuit proof, says Kevin. If you set up legal structures, including trusts, while the seas are calm, you’ll be able to handle the lightning when it comes. And once you go through the process, you can pay more attention to MAKING money than PROTECTING your money. Although setting up trusts can seem tricky, it isn’t that overwhelming if you take it step by step. Investors should get started early. Most lawyers don’t teach clients about inter-entity planning … but when Kevin gets new clients, he takes them through a step-by-step process to help them protect their assets. Kevin starts by completing a liability assessment to see how much liability the investor holds. Zero-liability assets, like your cash portfolio. Assets that are in between, like real estate … high-value, high-liability assets are included here. He uses these three categories to see how exposed clients are. He then checks to see whether investors are holding the proper insurance … usually a moderate amount. After that, he works with the client to set up the appropriate structures that will provide the most protection in the simplest way. Are you an investor wanting to get started with a trust? 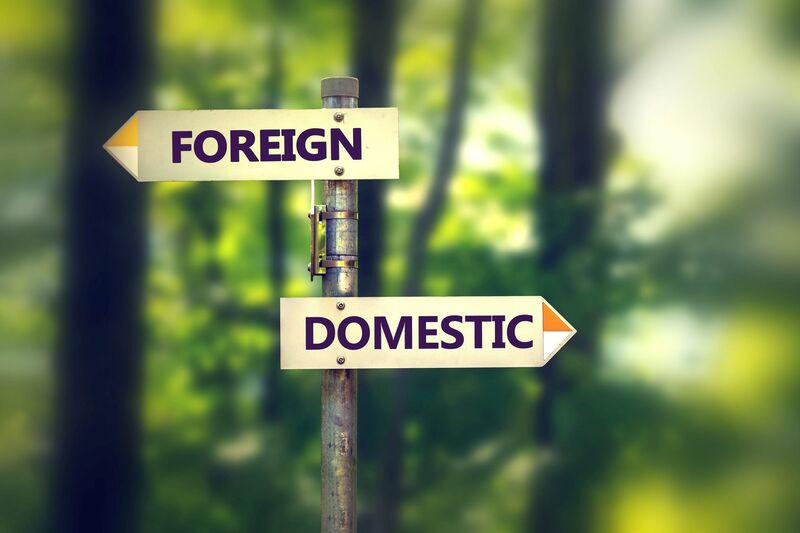 Kevin suggests building up to an offshore trust by setting up a domestic trust with decanting provisions that will allow it to move offshore gracefully. We asked Kevin when it was appropriate for investors to consider offshore trust options. He told us that investors with a net estate of over more than 4 million … and that includes their home, business, and rentals … should absolutely set up offshore options. That’s the point where all your creature comforts are taken care of and any extra money you’re taking in goes toward growing your real estate business. Under 2 million, an offshore trust is not appropriate, simply because of the cost-to-benefit ratio. Between that 2 and 4 million mark is where there’s some leeway. If you have a high-liability business, you probably shouldn’t go international. But if you’ve just hit a home run and you’re growing exponentially, then you should consider an offshore account. Offshore options allow investors to lower their profile in case of a lawsuit, says Kevin. Lawsuits feel like blackmail … and what you look like from a public view will change the lawyer’s perspective. Trusts can help you manage privacy concerns about how much of your wealth shows up on the public record. Why is this so important? If you’re sued, there’s a discovery period where the other attorney can look at your assets. Eighty percent of the time, says Kevin, those attorneys don’t look into how your assets are structured … and the other 20 percent of the time, they see international structures and think getting that money is more trouble than it’s worth. According to him, the great thing is that trusts help in all three areas. Lawsuit protection trusts are tax neutral … and don’t rely on keeping secrets from the IRS. They also offer complete bars to anyone who wants access to your money. What if you own property offshore? Americans who own foreign companies don’t have to pay tax until their income is repatriated. Setting up your income to be non-subpart F can be very easy, says Kevin … with the right professional help. There’s no point in building up your assets without also protecting them so you don’t lose everything when disaster strikes. Exploring your opportunities for asset protection means looking at offshore options. So much real estate education is fun and aspirational. Asset protection is a down-and-dirty topic … but it’s SO important. Being a real estate investor means dealing with real threats and the possibility of bad deals and mistakes. It’s essential to discuss what could go wrong … while everything is still going right. That’s why we’re so glad to have an expert in offshore protection in our fold! We want YOU to know your options for asset protection so that if the lightning hits, you can have one piece of your business fail without everything else falling apart. An essential element of real estate investing is protecting the assets you’ve worked so hard to acquire. When you’re just starting out, your investment business is pretty low liability. But as you acquire properties, the liabilities build up … and a legal problem with one property could cascade and affect your other assets if you don’t have the proper protections in place. In this show, we’ll talk with a Rich Dad advisor on how to sort your assets into buckets so you NEVER lose everything at once. Part one of this two-part series is for beginners and experienced investors alike. As John F. Kennedy said, “The time to repair a roof is when the sun is shining.” NOW is the time to put in place protections to keep you safe if troubles arise. The society we live in is very litigious … and that’s not going to change any time soon. So what can investors do? We talked to Garrett Sutton about precautions YOU can take to protect your assets as they grow. Your best option, Garrett says, is probably an LLC, simply because they provide the best asset protection. An LLC allows you to firewall your assets so one lawsuit doesn’t set off a chain reaction that leaves you asset-less. Why is an LLC better than a corporation? Besides better asset protection, LLCs offer more tax flexibility and charging order protection. Charging orders are legal judgments that allow creditors to access the money you make through your business. But some states offer charging order protection to LLCs. And, Garrett says, most lawyers prefer to go through insurance so they can collect right away. So ideally investors have two firewall protections … an LLC or corporation AND insurance to back them up. Some states, like Utah, California, and New York, don’t provide great asset protection for LLCs. Creditors can blow through the LLC and force the sale of assets … not ideal. What can you do if you live in a state that doesn’t have the best rules for entities? Garrett reminds us you DON’T have to form an entity in the same state as your property or your residence. Set up an LLC in the state you want. File your articles of organization, operating agreement, and certificates. Transfer the title of your property into the name of your LLC. This is NOT a sale … simply a transfer. While there are plenty of websites advertising do-it-yourself LLC help, it’s much better to talk to an attorney, says Garrett. A certified legal professional can walk you through all the steps and help you understand which business decisions are right for you. And, an attorney will help you stay aware of formalities … the easy-to-follow rules that will keep your LLC safe from legal troubles. Garrett is a best-selling author. 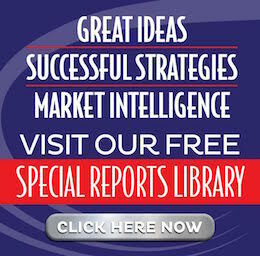 His books on starting your own corporation or LLC cover the strategies and techniques YOU can use to increase wealth and reduce risk. A technique SOME people use is changing their LLC from partnership taxation to C or S corporation taxation. That’s fine, says Garrett … as long as you don’t forget to amend your operating agreement. Business decisions as simple as tax changes have many permutations we don’t even think about … another reason an asset protection attorney is essential. Other investors are looking into offshore asset protection trusts. Something some investors don’t realize is that more than 10 states have created onshore trusts. But while these trusts make your money bulletproof, recent cases have demonstrated that it’s only bulletproof in the state where you’ve set up the trust. Although there are many tricks for upping your protection level … and your wealth … investors don’t need 17 layers of LLCs. They also don’t need to spend a ridiculous amount of money to form an LLC. For example, a Wyoming LLC provides great protection levels, for only $50 a year (plus any legal fees). And LLCs don’t mean you’re locked into operating decisions. You have the latitude to make changes. LLCs are flexible! Interested in delving deeper into the legal realm of asset protection? Delve into what Garrett has to offer on his website. And while Garrett provides affordable asset protection and legal services, that doesn’t mean you shouldn’t seek out your own legal help … just make sure the people you work with are serious about helping small investors stay on top of corporate formalities. In part two of our asset protection series, we’ll delve deeper into the legal world with a discussion of offshore asset protection strategies. Listen in for info on taking your profits outside of the States! Across the country, real estate markets are hot … and getting hotter. That means compressed cap rates … which in turn mean a lower rate of return for investors. So how can investors find a market that will offer great returns in good times and bad? In today’s show, we’ll discuss the market fundamentals that can make or break your next real estate investment deal. Luckily, markets leave clues. If you’re an excellent market detective, you’ll be able to spot subtle indicators that will help you make an educated guess about the market’s future. For this episode of The Real Estate Guys™ show, we recruited the best private eye we know to guide us through his analytical approach to investigating and choosing new investment markets. Victor Menasce is the author of Magnetic Capital and a successful U.S.-based real estate developer. 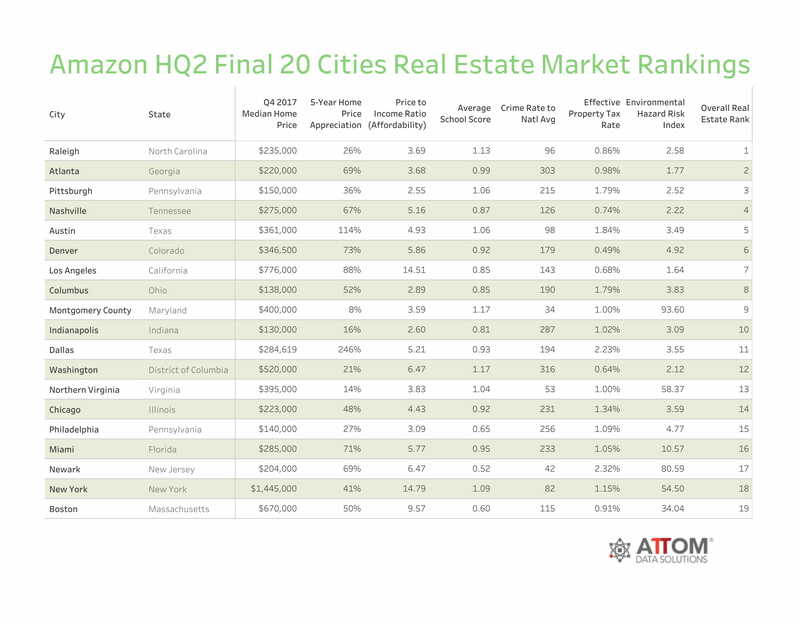 He’s a strong believer in the principle that the best markets aren’t necessarily the ones you live in … or near. Instead of automatically going for nearby markets, Victor undergoes a thorough evaluation process for potential markets, whether they’re near or far. One of the things we look for when we’re analyzing a new market is net in-migration … essentially, we want to know whether there are more people entering the market than exiting. Metrics like these can help you predict whether a market will serve your investment goals. For Victor, market evaluation begins with the most basic metric of all … supply and demand. That means choosing a market where demand outpaces supply. The team who has boots on the ground in that market. If you perform due diligence on the market and the team and something doesn’t line up, then you need to step back and reassess … before you even look at specific investment opportunities. To model his process for market choice, Victor guided us through an analysis of one of his current investment markets … Philadelphia. “You have to look on the macro level,” Victor says. 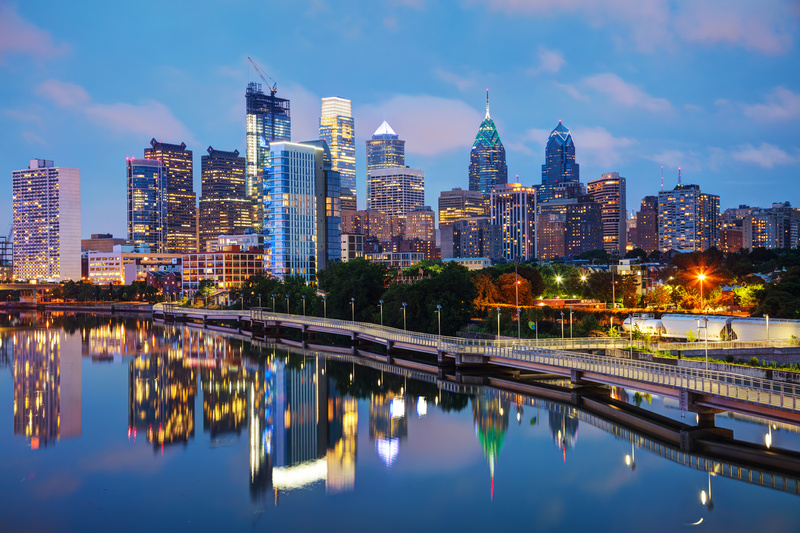 Like many large American cities, Philadelphia has a large low-income population. This is a benefit, says Victor, because it creates areas where high-priced real estate and low-priced real estate brush up against each other. The key is to find the arbitrary line between high and low properties … and then move that line by creating value. Another reason Philadelphia is so successful is because of its proximity to an overpriced, overcrowded market … New York City. Victor says he sees a lot of renters moving from the New York market to Philadelphia because of its relative affordability and proximity to the Big Apple. Two other big factors Victor looks at are population influx and job creation and availability. Another point of consideration is rental rate per square foot. In Philadelphia, Victor can charge between $1.50 and $1.75 per square foot … $1,200 to $1,400 per month for an 800-square foot B-class apartment. Victor compares that to Raleigh, North Carolina, where the average rents average $1.15 per square foot, even for class A properties. That’s about $920 for the same 800-square-foot apartment, for context. Although rents differ, the cost of building in Raleigh and Philadelphia is comparable. That’s why Philadelphia makes far more financial sense for Victor. Victor also walked us through the process of finding a team in the Philadelphia market. “I only go to Philadelphia one to two times a year,” he says. He started by making friends with an active group of investors already in Philadelphia who had good connections to local contractors and businesses. Although big markets like Philadelphia generally make more sense for real estate investors and developers than smaller markets with fewer resources and infrastructure, Victor is currently investing in properties in a small town in Louisiana. Why? The town, Lake Charles, has several compelling factors that make it a great place for long-term investing. He walked us through his process of discovery and analysis. Through personal relationships with people in the Louisiana real estate market, Victor came across Lake Charles, a town on the I-10 corridor. The town is poised to produce 118 BILLION dollars of natural gas over the next decade … now that’s a staggering number. Because of its increasingly important status as an exporter of natural gas, jobs and ancillary services are expected to increase over the next decade … and with that, the population is expected to keep rising. With 48-50 billion dollars of construction in the works or anticipated, the population growth isn’t solely temporary workers, but also new permanent residents. This is a town where skilled labor prevails, so the average household income is north of 90k a year … not the typical tenant profile. That means rents in Lake Charles average around $1.50 per square feet, even though it’s not a major city. Because Lake Charles is growing so rapidly, it needs construction of all kinds. So Victor has dipped his feet into several markets, including workforce, family, and senior housing as well as medical offices. It’s a lesson to investors … start with the market, then discover the needs and assemble a team to address those needs. Investors who go into markets operating only in a small niche may miss the best opportunities. Why is Victor so confident in Lake Charles? “This is a town that has embraced heavy industry,” he says. He expects few obstacles to pop up as the town continues to grow. And he’s confident in his assessment because he has relied on folks who have their boots on the ground. Victor has a pragmatic approach to market analysis. He’s logical and thorough and treats every investment decision like it’s a business decision. We like to say that most people know a little about a lot, but Victor knows a lot about a lot. But he also knows his limits. It’s really hard to be involved in more than a handful of markets at once … careful investors can’t do the kind of analysis Victor has done for Lake Charles for 30 markets simultaneously. And Victor has spent the time to cultivate relationships with his teams in Lake Charles and Philadelphia. That’s important too. We think Victor is a great resource for investors looking to take a careful approach to market choice and more. Looking for more real estate wisdom? Listen in to his Real Estate Espresso podcast, a 5-minute, interview-style briefing he puts out 7 days a week. Throughout our Profitable Niches series, the message has been clear … there’s more than one way to invest in real estate. It’s so much more than single-family homes and apartment buildings. And, in today’s market, when some of the more traditional investments are stretched, it’s a good idea to think about something new and fresh. Agricultural investing may not have been on your radar, but that’s about to change! And no, you don’t have to have a green thumb to participate. We’re talking with an expert guest who has blazed a trail into a market that’s energizing AND tasty. As a sweet bonus, you can support a socially sustainable program as well. Check it out! Just like everyone needs a roof over their head, everyone has to eat. That means there’s a demand for agricultural products and an opportunity for investors to do well in agriculture. All it takes is a little education on the language of agricultural investing. In housing, it’s all about markets and demands. Agriculture has the same learning curve. 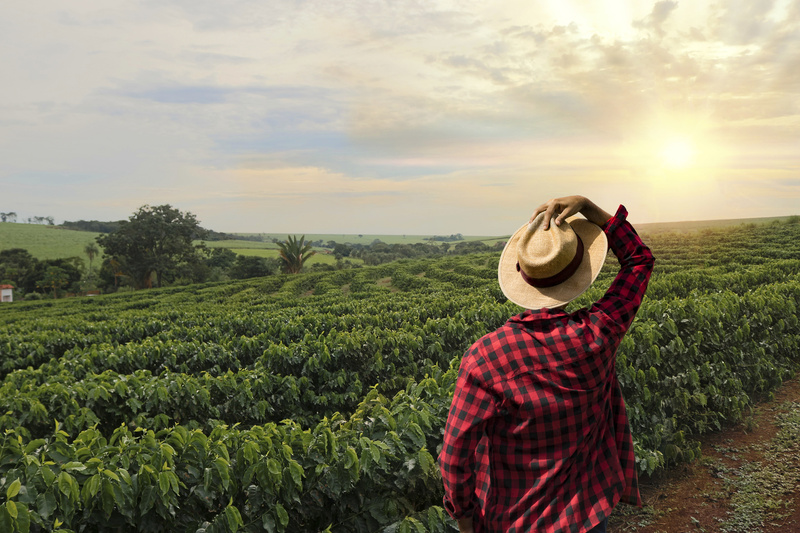 Once you understand the geography, the demand for products, and a little of the science behind growing, you’re on your way to getting a foothold in agriculture. But, agriculture is a wide world, so we’ll narrow our focus. Our guest, David Sewell, started in agricultural investing with one product: coffee. It has a long shelf life, doesn’t perish quickly, and there’s enormous demand for specialty coffee with limited supply. Specialty, socially sustainable coffee has been David’s niche since 2014. He purchases farms that are managed poorly, spends time working on the soil, understanding the climate, planting trees, and building a system that delivers product at a great return. One of the best things about specialty coffee is that the limited growing geography drives up demand. But it takes some time to get a farm turned around to producing. Just like any gardening project, it takes patience and skill. Since David started his business in 2014, he has worked through plenty of challenges and developed an amazing model that is blazing a trail in agricultural investing. And now, he’s moved into a second crop. “A good way to start the day is with a good cup of coffee and, in the evening, end it with a couple pieces of chocolate,” David says. The demand for specialty, fine-flavored cacao is rising, and the supply is even MORE limited than specialty coffee. David’s cacao choice is particularly a specialty in Belize. David took what he learned from coffee in Panama and rehabbed a few farms in Belize with the same, successful model. With a little science, ingenuity, and care, David has capitalized on the demand for specialty products. He has 154 farmers who sell their crop exclusively to him, in his centralized processing facility. David has three farms as well as a trading company that buys and sells literal tons of beans every weekend. They’ve all been trained on organic processes, and together, they use the centralized processing systems he has built to make an efficient product that is ready for market. Conditions on a coffee farm aren’t known for being great. That is different on David’s farms. He takes care of his 35 farm hands, and it has paid off. David’s farms change the way workers live. They receive good rain gear, so they aren’t picking cherries or tending to trees in the rain wearing a trash bag. Kids aren’t allowed on the farm … they attend school. Families live in provided housing with electricity, flushing toilets, and other amenities that we often take for granted. And, while these benefits for employees are key to David’s business, it’s not all altruistic. Labor turnover is expensive, and taking care of workers keeps them from leaving. Beyond just the living conditions, workers are sent to seminars and congresses to build up their skills so they become even more educated and grow with the company. This dedication to his workers shows by the passion and dedication they bring to the field and to the job every day. His workforce is expert in cacao and coffee, and that drives the superior flavor … and price. That makes investing in opportunities like David’s even more exciting and sweeter for investors. Not only can you make money, but you can also make a difference. One of the drawbacks to agricultural investing is understanding the science and process to growing, processing, and distributing a product. It takes time and experience to know a good opportunity and to succeed. For instance, David learned early on that the biggest hurdle was the deeding process for international property. He warns that it is difficult to do on an individual basis. But, David has found an interesting way to let people play with agricultural investing. With David’s business, he wanted to use his knowledge of syndication to make agricultural investing more accessible for people, regardless of their knowledge level and even for those who couldn’t buy an entire farm. David’s farms are broken out into ½ acre parcels that can be bought individually or in groups. The parcel is deeded an individual investor or entity’s name, and it’s essentially a turnkey investment. It’s managed and operated by David’s team and investors not only get the returns, but also the knowledge that they’re participating in a socially sustainable program. For investors looking for a legacy investment to pass on to their kids, or to invest in a program that’s socially sustainable, this is worth a serious look. To learn more about David’s coffee and cacao operation and how you can get involved, send an email to beans [at] realestateguysradio [dot] com, and we’ll get you his special report on both opportunities! And, we’d love to see you in September with David at our Secrets of Successful Syndication seminar. Here’s where to sign up!